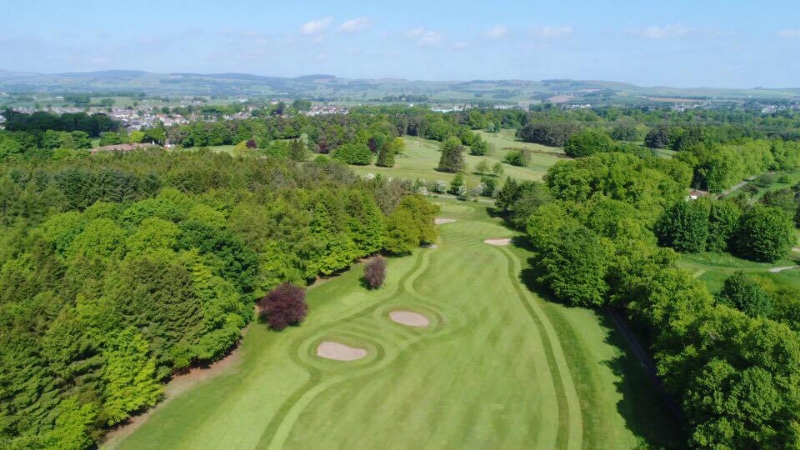 This course is a little easier to play and is considered to be more suitable for occasional golfers but is still known as ‘The Wild Child’ of Kinross. Proof of this is in the par-39 outward nine where you’ll find four par-5s in the space of six holes. However, spot the optimum scoring opportunities on the Bruce and you might not find your scorecard in shreds. The par 4 6th at just 272 Yards! The course's unpredictability is most shocking on the par-4 6th. It only requires a mid-iron off the tee followed by a wedge, but watch out for the “ball magnetic” pond in front of the green, which often results in big numbers. It's difficult to pick the best par-3 on The Bruce but many golfers love the picturesque 16th. It's 160 yards from the white tees, but choosing the right club can be difficult as the green is long and well-protected. The par-4 14th provides an enjoyable shot downhill to the large green. Not as famous as that tricky 6th hole, but not likely to generate so much golfing angst. Although the par-5 4th hole might seem like an obvious birdie opportunity, even the strongest golfers leave the hole happy with a par. The second shot is perhaps the most difficult on the course, whether you are going for the green or not. Book Bruce Online | Email Us | Call now on 01577 863407.